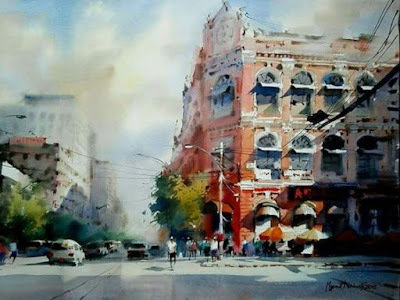 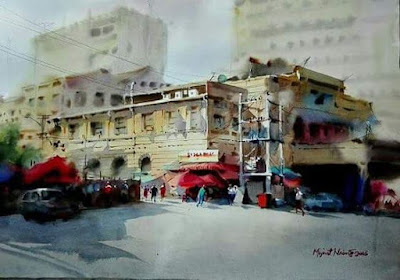 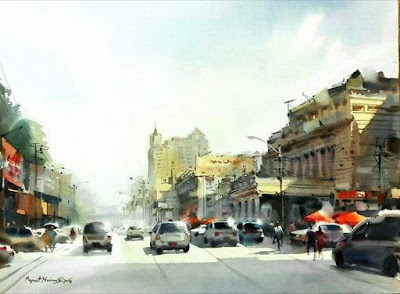 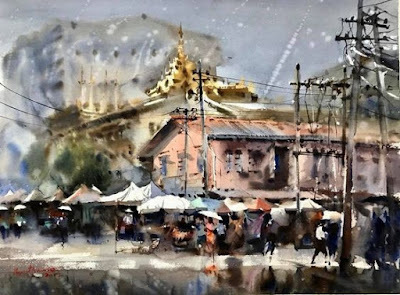 Myint Naing, (born 26 February 1967) is a Myanmar watercolour artist. 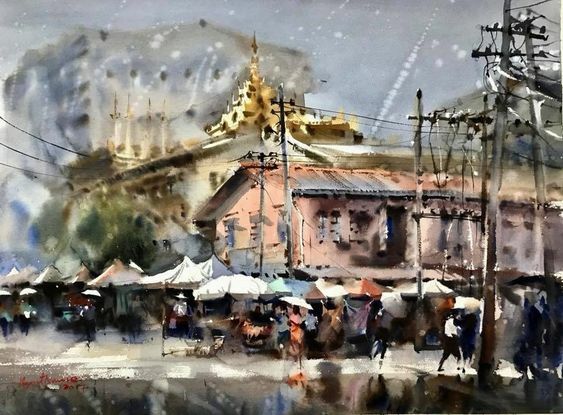 He was born in Giwa village, Rakhine State, Myanmar. 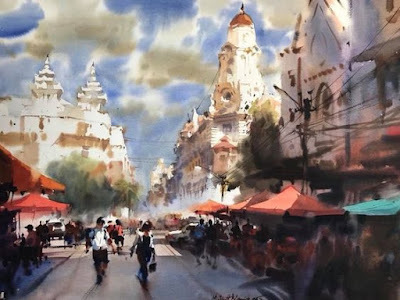 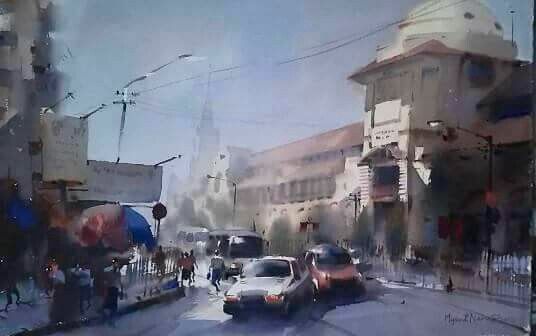 He graduated from the State School of Fine Arts (Yangon) (1986-1989). He is well versed in oil paintings and watercolors. Use the oil with delicacy and softness. 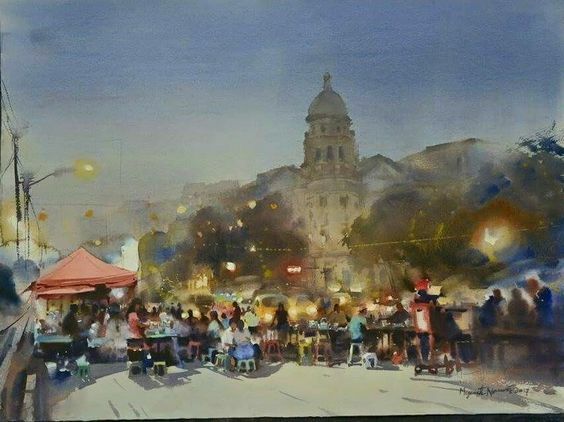 In his watercolor works, he opts for a riot of colors and quick brushstrokes that create impressive results.